As a traditional sake brewing process, kimoto (traditional sake starter) making has been passed down for generations, creating a rich flavor that attracts many sake fans. The rich flavor, however, used to be made through a severe process called yamaoroshi. 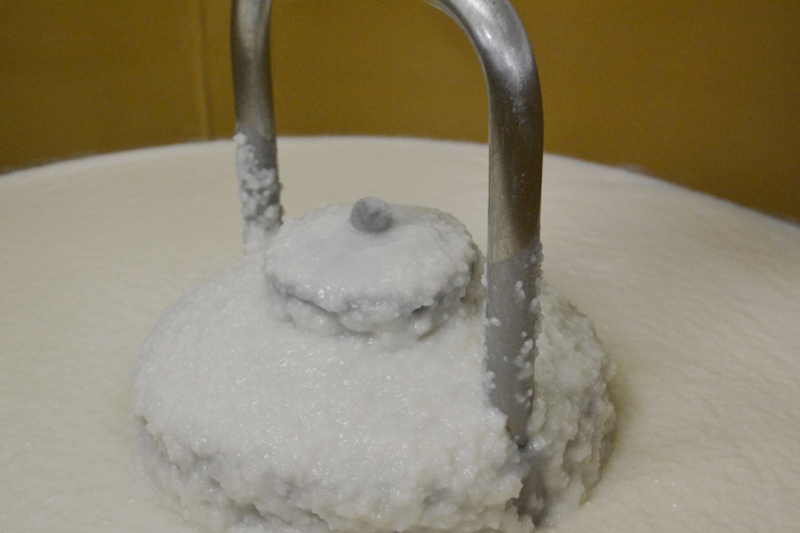 In this process, koji, water and steamed rice were put in a barrel, and then kurabitos patiently mashed the mixture using a big tool called kai. Making this fermentation starter in cold winter was really a tough work. In 1909, Mr. Kinichiro Kagi working for the National Institute for Brewing Studies discovered yamahai brewing style while making moto (fermentation starter), which was to let rice grains naturally dissolved by the power of enzymes of koji without requiring any hard yamaoroshi process. 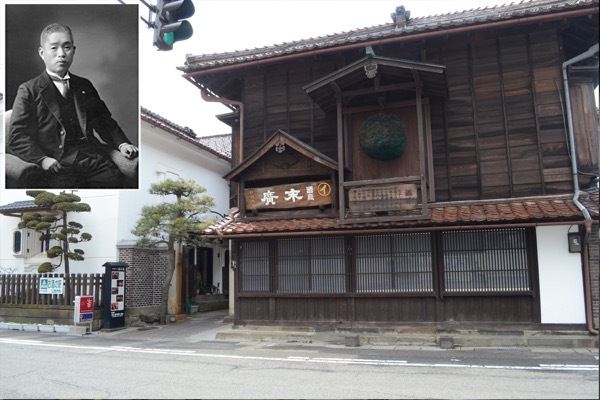 In the early 1910s, Mr. Kagi tested brewing at Kaeigura of the sake brewery SuehiroShuzo located in Aizu Wakamatsu for three years and finally established the yamahai brewing style with the help of toji and kurabitos. Since then, the yamahai-jikomi method has been passed down as kagishiki for over 100 years. Since yamaoroshi was ceased, it was called yamaoroshi haishi, and then shortened to simply yamahai. Yamahai is considered to create a rich- flavored sake.